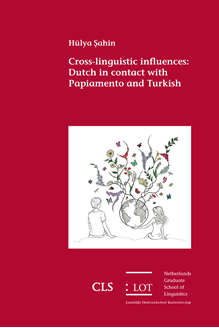 Adopting the idea of bilingual optimization strategies and a usage-based framework, this dissertation explores contact-induced language change in Papiamento and Turkish in contact with Dutch and vice versa. Multilingualism is very important in our modern world and has been shown to have cognitive benefits. Psycholinguistic research indicates that the two languages of a bilingual speaker are jointly active and can influence each other during language processing. This can eventually lead to language convergence and change, which is often found to be the grammatical outcome of language contact in multilingual settings. This dissertation is a collection of four studies which use several psycholinguistic and sociolinguistic research methods to investigate various aspects of contact-induced language change in the speech of Turkish- Dutch and Papiamento-Dutch bilinguals. It presents the first cross-linguistic study of structural linguistic changes in two minority languages in the Netherlands, and provides a link between sociolinguistic corpus-based research on how contact and change unfold, and psycholinguistic experimental research on the cognitive mechanisms that underlie this process. While combining corpus results with experimental validation is gaining the status of a methodological standard in Cognitive Linguistics, it is still relatively new in contact linguistics.